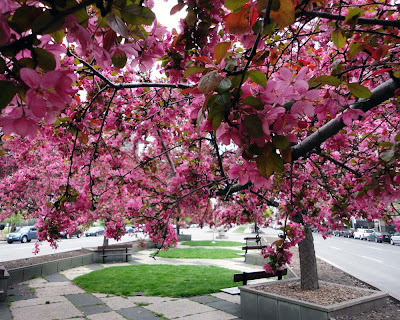 The trees have started to blossom in #Toronto along the inner boulevard of University Avenue, south of Queen’s Park. 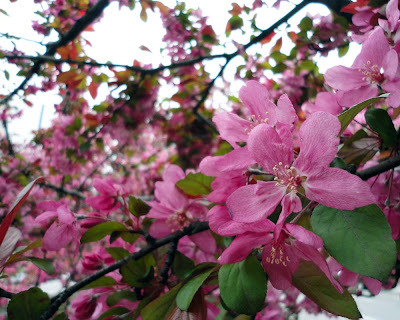 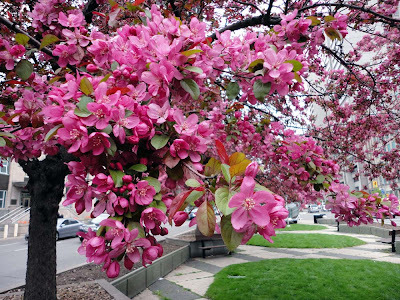 The section south of Armoury Street, across from the American Consulate, is almost full of pink blossoms while north of Armoury the buds remain mostly waiting for the flowers to peak out. Similar trees along Old City Hall have just started to blossom. Probably this weekend will be a nice time to see the pretty boulevards so check the locations out if you are in the area.